Harriet Sherwood’s latest report, ‘Hamas bans Palestinian journalists from Israeli media cooperation‘ Dec. 27, took a detour from the issue indicated in the title in the penultimate paragraph. The first sentence is completely untrue. The passage highlighted in the second sentence is, at best, extraordinarily misleading. 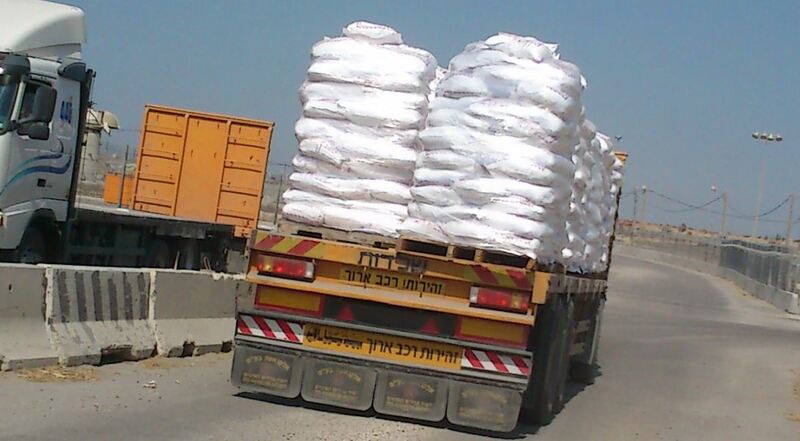 At the Kerem Shalom Crossing, every day, around 250-350 trucks bring goods into Gaza – food, electrical products, clothing, and construction materials. Here’s a photo I took while on tour of Kerem Shalom in September, 2012. In order to ensure that dual-use items (construction materials which could be used by Hamas and other terror groups to build fortified bunkers, military installations, etc.) COGAT (Coordinator of Government Activities in the Territories) coordinates such shipments with international sponsors (US Aid, the World Bank, the UN, etc.) who can guarantee that the materials are used for their original civilian intent. Since 2010 (the period Sherwood is referring to), out of 268 submitted construction proposals by the PA (in conjunction with international sponsors) 235 were approved. Such projects include housing, schools, clinics, roads, agricultural installations and other civilian infrastructure. According to COGAT, the only ones not implemented on the ground have been those in which the sponsor didn’t have the funds. Here is a further breakdown of what has been built, or is in the process of being built, in Gaza with construction materials sent since 2010, quantified above. 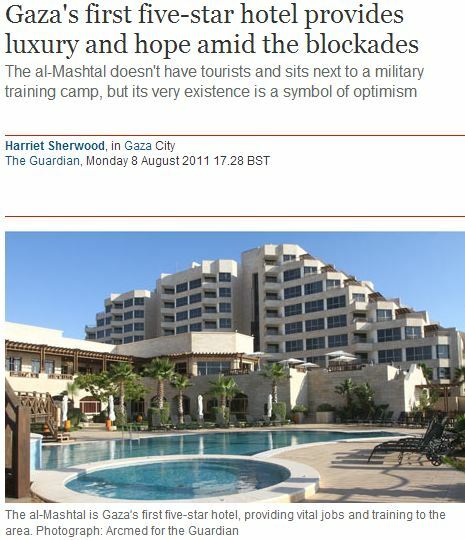 And, lets not forget the five-star hotel, the al-Mashtal, which opened in 2012 in Gaza – which Sherwood herself reported on. You don’t need to be a building contractor to conclude that an awful lot of construction material was required for these luxury accommodations. 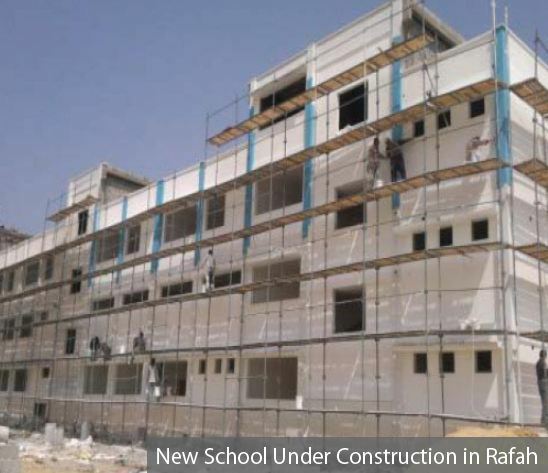 You can see a full list of construction projects in Gaza underway or already completed, here. Such facts and figures regarding construction materials entering Gaza completely contradict Harriet Sherwood’s claim that all, or “almost all”, construction materials have been banned from entering Gaza over the last two years. Please consider sending a respectful email to the Guardian’s readers editor requesting a correction to Sherwood’s story. I think Harriet should stick to reporting on her pedicures. Why do you hate so women so much? Your comment is disgusting. The Gazans have a genie bringing in materials! The dissonance inherent in the Palestinian position appears again. They applaud themselves for the massive building/rebuilding in Gaza and in the same breath claim the Israeli makes it impossible to do what they are doing. But the PA doesn’t deny that Israel allows in a certain amount of construction materials, does it? That’s the point I was about to make anyway, i.e. where does Sherwood get her claim from? Because it ain’t from Abbas, is it?